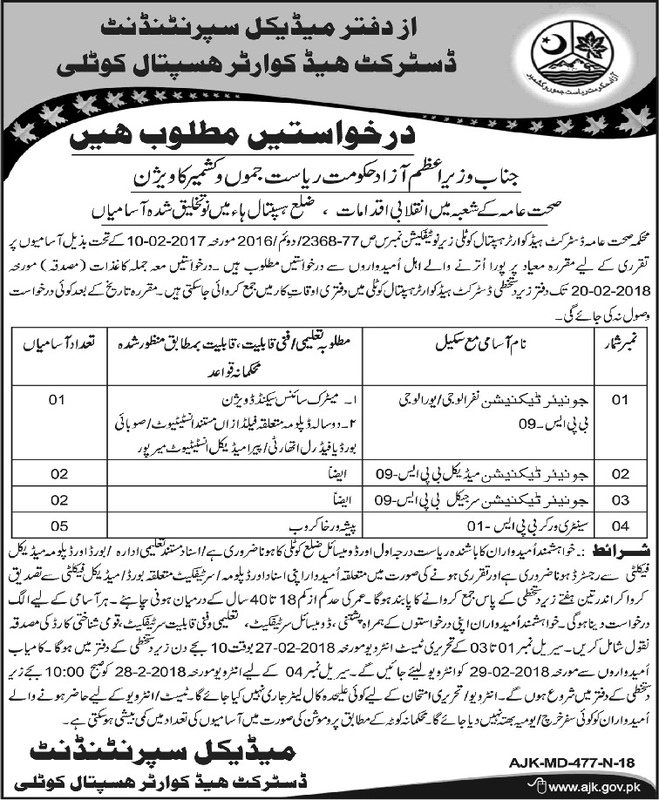 Azad Jammu Kashmir (AJK) has announced New Jobs in District Head Quarter (DHQ) Kotli 2018 in Daily Osaf Newspaper on 01/02/2018. Positions are vacant against the title given follows, Junior Technician Nephrology/Urology, Junior Technician Medical, Junior Technician Surgical and Sanitary Workers. Interested Candidate can apply for these New Azad Jammu Kashmir Government Jobs 2018. They are directed to send their applications to the office of Medical Superintendent District Head Quarter Hospital Kotli.